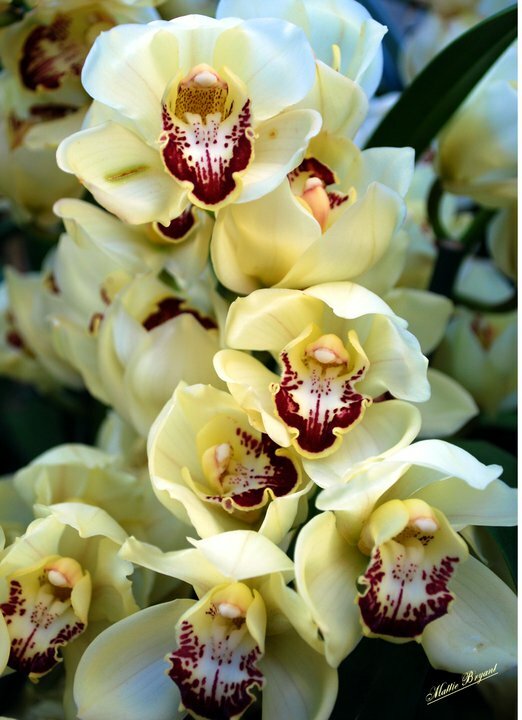 A beautiful.creamy white Cymbidium Orchid from the many orchids at the Atlanta Botanical Garden in Atlanta, Georgia. The petals of this orchid have a waxy texture and grow in winter. They are one of the most popular orchids in flower arrangement and corsages. One feature that makes the plant so popular is the fact that it can survive during cold temperatures as low as 45˚ F, one other is they are a beautiful species of orchid.